The carpets in your home are a major investment. Maintaining your carpets saves you money in the long run and keeps your home looking great. With simple carpet maintaining tips, you can stretch the life of your carpets past their normal life expectancy. All you need to do is not wear your shoes in the house, vacuum regularly, and have the carpets cleaned yearly. These tips will assuredly increase the life of your carpets. 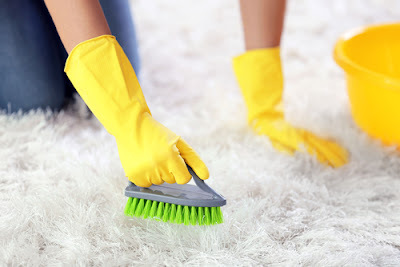 There are many methods to clean carpet, but vacuuming is the easiest and simplest method. Vacuuming mats will clean the dust and dirt. However, it is safe for you to take few preventive measures to avoid making them dirty. There are methods that you can regularly follow at home to prevent them from getting dirty. Taking these preventive measures will help you to maintain clean floor covering. One of the main advantages of cleaning floor mats and rugs daily is to avoid the smell from it. Most dirty mats would smell bad spreading the smell across the room and home. You would feel embarrassed especially with guests at home. Therefore, follow the preventive measures mentioned below to take care of your carpets. The first preventive measure you need to take to maintain clean carpets is to avoid wearing footwear on it. Stepping on the floor mats with dirty shoes can make them dirty. 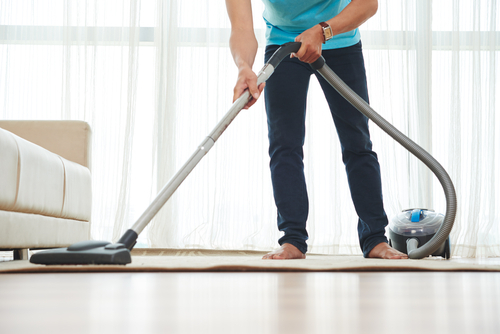 Even though it can be cleaned by vacuuming, the dust particles will remain in them forever. The dust particles from the footwear might enter into the pores of the rugs, which is not easy to vacuum. In case you are used to wearing footwear at home, it is important to vacuum it twice or thrice a week. This will clean the dust from the mats making it safer for your family. This is a very common rule at every home. Do not take food substances to the mat under any circumstances. Even though solid particles can be cleaned, the stains would remain on them until clean. The stains might look worse which results in bad smell. Even though carpet can be cleaned by vacuuming, it is not easy to wash them with detergents, as they are heavy. This is the main reason you need to avoid taking food to the mats. The main rule to easy cleaning the carpets is instant cleaning. No matter what every spills or pours on the carpet, make sure to clean them immediately without any delays. This will help you to clean them completely with less effort. Even light detergents can be used to clean the carpets. However, the detergents must be selected depending on the quality of the rugs. Mild soak the carpet but do not soak them in water or detergent for a long period. 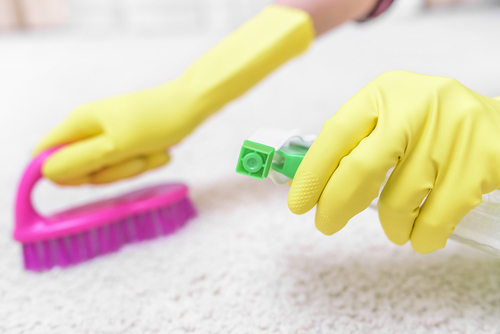 Following these three simple methods will help you to maintain clean carpets for a long time. Always have your carpets cleaned by a professionals at least once a year. A professional carpet cleaner will be able to remove soil deep in the carpet fiber that regular vacuuming will not be able to reach. Additionally, it is a good idea to use a cleaner that specializes in low moisture cleaning. This method uses less moisture than traditional steam cleaning and allows for faster dry times. Keep all your carpet cleaning products together in one spot. Another thing you can do to help yourself out is to keep all your carpet cleaning products together in one spot. If your carpet is too big or thinks to dry out quickly, don't wash it! You will need to call professional cleaners than to steam clean it. Such carpets are impossible to clean in the home. Although you could vacuum your carpet regularly to make sure all grit or at least the bigger particles are removed you should wash up your carpets regularly. For example, at least once a month. Carpets, like your clothes, are textiles so you could use a laundry product solution, although there are special carpet cleaning products in some stores. If you don't find appropriate cleaning product, you could just use hot water. After washing makes sure you place your carpets and rugs in places where they will dry out quickly because water can cause them to mold. Never rub stains on the area but blot the spill with your towel or sponge. - The most important part of cleaning stains is to never rub at the area. Instead, blot the spill with your towel or sponge. Rubbing will only push the liquid further into your carpet. If liquid gets into the padding beneath the carpet, then you will have an additional headache to deal with. - New stains should be immediately treated with hot water to not penetrate too deep into the carpet fabric. For food and red wine stains, you can use mineral water which is a very effective solution for removing stains. Always take off your shoes at the front door. If so you are tracking in more soil then you might expect. Always take off your shoes at the front door. Walking through the house in your shoes will scratch the carpet fibers and do damage that may not be repaired. Also, it is not wise to walk on the carpet with your bare feet. Oil from your skin will stick to the fiber and attract soil much faster. The easiest way of cleaning your carpet is by using dry powder. All you need to do is put the dry powder over the area containing stains and then vacuum the carpet once the powder has absorbed all the stains. For ink or oil stains, it is best to use solvents for cleaning purposes. Rubbing the carpet with the solvent you are using is a bad idea. It is better that you let the solvent settle on the stain for half an hour, and then you remove it by using soap water. In case you have a pet in your home that is responsible for most of the stains on your carpet, it is always sensible to use an enzyme remover. So if you want to save money by maintaining your expensive carpets follow this advice. Just remember never to wear your shoes in the house, vacuum on a regular schedule, and have your carpets cleaned by a professional cleaner at least once a year. This will allow you to enjoy your carpets for years and years.